The first of September is in many countries the beginning of the new school year and the first of October the beginning of the new academic year. That first day of a new year brings a lot of excitement and many questions with it. Every “Beginning” brings expectations with it and brings an exciting experience. Some of those experiences bring over and over again, each year, new tensions or get us nerve system working strong. The adrenaline gets high. Such a beginning of a “new year” gives us the opportunity to bring a brush-stroke over the previous year. We take the opportunity to make a new start again. We also dare to give free space to new ideas and projects which can stimulate us and others to continue with renewed energy. The freshness of a new project or a new relationship sharpens our senses. When that novelty diminishes, though, it’s difficult to maintain the same level of excitement. so often when the year progresses people become less enthusiast or tired. They loose energy and are not so willing any more to spend energy in what they started earlier. On the first of September many little toddlers face their first day in “the big world”. From then onwards their protected little world of the safe ‘home’ shall not be there always. They shall get to face the cruelty of the world, with others not liking them, or being jealous. By time they shall become confronted with infliction of physical or mental distress. Throughout its life the growing up person will have to find compromises between the claims of the narcissistic pole of his drives and the intensity of his love for the object. They shall have to proof themselves and to defend themselves, making sure they can stand straight and endure all the hardships which shall come over them. For many it will be looking afraid at the day, which according to the Hebrew mode, is conceived as a measure to be filled up. The apostles also once had taken refuge in their small safe house. From the second day of unleavened bread they for fifty days had got very strange experiences which frightened them so much they had closed all doors and did not dare to come out and meet the people who laughed at the followers of the man which was impaled and could not bring any message in public any more because he had become part of the dead. Christ his disciples were also in doubt and in expectancy. In those days of expectancy they felt that they had to stick together, united in the thoughts of their master teacher Jeshua (Jesus Christ). A cycle of seven times seven days, from the time of the gathering of the sheaf of first-fruits, had past. At the day of the anniversary of the Law covenant at Sinai they suddenly where shaken. 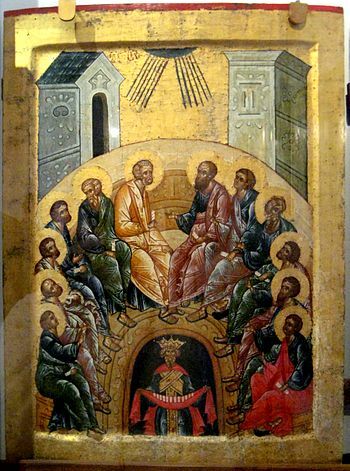 The same eleven apostles who witnessed their master’s ascension were in the upper room complying with the injunction of Jeshua, waiting in an attitude of prayer and expectancy, and in readiness to begin their mission. Following the order to stay together and to come close to each other in prayer, they had enough time to think about all the things that happened in those three years of public preaching of Jeshua. At that moment they did not know yet they where going to go through something very unique which would give them the nerve to get out of their enclosure. They would receive Power from above which was going to give them enough guts to dare to speak about unbelievable events. For many a new year going into a new initiative demands a plan which shows great daring. In Acts 2 we can find a process of fulfilment described. As in the other writings of the Book of books we get an inside view of how God worked to gather a new community of believers to Himself. Pentecost and the arrival of the Holy Spirit signalled a new era and produced a new community, as both Jews and “devout men from every nation under heaven” converted to what would be later called the Christian faith (Acts 2:5). Now, many centuries later, it’s easy for us to see Pentecost as the pivotal moment in the history of the Church — an unparalleled event that changed the world forever. It must have been incredible to see those young men coming onto the street and having them speaking in so many tongues that all sorts of tourists and inhabitants could understand them. There where Christ Jesus never brought so many to convert and to be baptised those shy disciples over-won their fear and got on the street to speak in the name of God, telling what for importance Jesus is for humankind. Three thousand people came to faith. When we celebrate the holiday of Pentecost, however, we are remembering the firstfruits of the harvest — the coming of the Holy Spirit and the original community of believers under Jesus Christ. Firstfruits are only the start of a harvest; they hint at future abundance. Every year we can see how plants are coming up again and how the cereal crop comes nice brown to be reaped. The grain crop harvested brings again new seed for the next year. Every-time there has to be sown and harvested, over and over again. In schools and as a service in Christian churches in many countries the people have a harvest festival, a celebration of the annual harvest, but also a thanksgiving for the fruits they may receive and bear. The harvest the Greek writings is speaking of is the continuing process of people who get inspired by the work of Christ and his disciples and follow the master teacher his commission. We as a community do hope we can bring the seeds in fertile ground and shall be able to fertilise it well, so that it can bear good fruits. As the young children at school have to respond to the bell, giving the sign to enter the class. We also should enter the class of the disciples, following our teacher, the rabbi Jeshua. Fresh at the beginning of the year we should be eager to learn new things and be curious what we can find in all those Books. God has prepared the Knowledge for us. We can take it or leave it. It is our free choice. Nothing is pushed forward, but the call of Jesus sounds all over the earth and everywhere the gospel of the Good News should be preached. Each person that calls himself or herself a Christian should every year again take up the good spirit to tell the world what happened with the impaled Nazarene and his followers, who gave an example for the world to follow. The wonders that began at Pentecost should still be happening today. On that day when the Holy spirit came over the disciples the start was given to a new era. A new beginning could take place. It were the first days of the church which had to come into being. Today there are still many places on earth where such seeds should be planted. Belgium is no exception. It is a very difficult ground. Like there are many clay grounds in Brabant, hard to work on, we do have to work hard to get people coming to our ecclesiae (churches). In Belgium there are many ‘babies’ waiting to go to kindergarten or school, to find more knowledge. They only have to find ways in doing it, finding the right knowledge. At the beginning of a new church year we should offer our services to God and should express our hope that our community shall be blessed by Him. That we may find strength to continue the important work and receive enough knowledge, given to us by God’s Power (the Holy Spirit). We ask God that we can have enough patience to continue to preach His Word and to plants seeds wherever He wants. Each of us should open his or her mind and heart for the teachings of Jesus and should be eager to come like Christ. We all should do our best to put on the armour of Christ and to open our mouths, bringing the Good News to the world. Witnessing about the coming Kingdom of God we should allow God to work in us and to have Him renewing us. 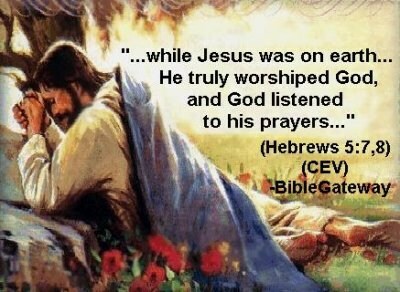 He is active and present in our lives, just as He was gathering His Church about 20 centuries ago. We need a fresh perspective. The beginning of the new academic and church year may bring that. We need the motivation and the boldness of the apostles and followers of Christ Jesus of the first hour. We need to rekindle our original excitement when announcing that the kingdom of heaven is at hand, because He is at work, in us and around us. To have a successful new year the ecclesia needs the Light of the Spirit. Without the Power of God we are nothing. Like the apostles received the comforter from above, we also do need Light coming over us to be able to preach and to reach people, to bring them closer to God. Let us pray that the Holy Spirit may enlighten us and give the force to go out in the world, making people aware of what God is willing to give to His People and how He wants us to be His children. It is God Who needs to give us power to be able to contribute to the formation of His Church. We can only hope we may be a work-instrument with many others, being thankful that we can receive so many blessings already here on this earth, preparing ourselves and others for the Kingdom of God. Each of you acquires opinions and beliefs about yourself during your upbringing. You absorb ideas and images from your parents, family, peers, school, etc. You begin to play certain roles without questioning them, and you soon develop something called a “personality”: a set of habits, behaviors, and thoughts. But at some time in the course of growing up, something else awakens in you. First, it is no more than a whisper; a memory that you cannot place; a knowing that you are more than what is just determined by the world outside yourself. There is something deeper, a layer that cannot be contained and understood by the human intellect. Herein lies your core, that which precedes and survives the earthly sphere – your soul. The children of Israel are also important on this occasion. In celebration of Pentecost, they are to bring two loaves of leavened bread to the temple. These loaves of leavened bread are used as wave offerings. They can only be eaten after the harvest ceremony is fully completed. 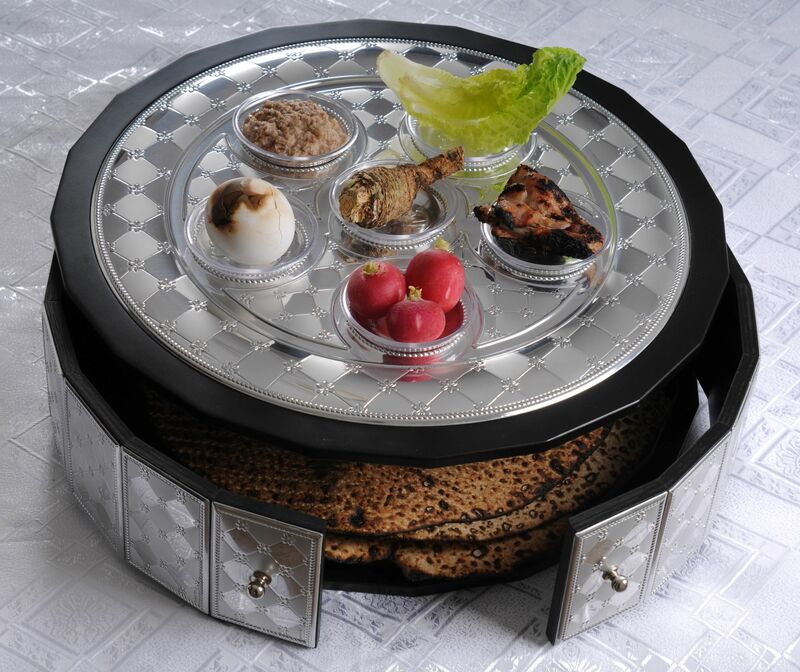 The Jews also offer burnt animal offerings before the Lord. They can share and eat the meals with the poor people, and even the strangers. The Apostles and disciples were praying together and the Holy Spirit came, sounding like a forceful wind and “tongues” of fire settled on them and they began to preach. Saint Peter began to preach a sermon and the multicultural and multi-ethnic crowd each heard him preaching in their own language. Of course, many have attempted to explain this. If Saint Peter preached and everyone, regardless of language, understood what he was saying in their own language (either by the Holy Spirit speaking a special language through him that is like the “Master Key” language that everyone understands, or through the Holy Spirit interpreting what he was saying within their own hearts), then Pentecost is the undoing of the confusion of language at Babel. If you remember the story of the Tower of Babel, before that time everyone spoke the same language and after that time God confused the language so that different people started speaking different languages. Perhaps, what happened is that the Holy Spirit was active within the world and after the Tower of Babel incident, the Holy Spirit retreated from the world at large, occasionally moving through people but not the world itself, until after the Resurrection of Jesus Christ from the dead. I will leave it to you to decide for or against that idea as you see fit. Pentecost is a “firstfruits” celebration for us, too, meaning that we are offering to God our first and best–not our leftovers–both as an expression of gratitude for what He has given and also as a statement of confidence that He will provide again. An interesting Jewish tradition on Pentecost is to read from Ezekiel 1, a passage which refers to a great windstorm and to fire. Perhaps these images were in the disciples’ thoughts as they then encountered for themselves the sound of a mighty wind and the sight of fire. A child of God could faithfully give the gospel, speak of God and His character, man and His desperate need, Christ and His sufficient atonement, repentance and faith in clear terms, but one element that evangelists seem to omit is the urgent call for sinners to respond to the gospel! Often, in the Temple against the backdrop of the hypocritical, works-righteousness system of Judaism, Christ would teach how He came down from heaven as the living Bread, as the water of life, as the door to heaven, as the Shepherd for the sheep, as the Way, the Truth, and the Life, and he invited all to come to Him. If anyone is thirsty, let him come to me. He exemplified not only the clear and bold proclamation of gospel-truth, but he also modeled urgent and compassionate exhortations to respond to the gospel. We must do the same. The early summer harvest of Shavuot in Israel was a small harvest in comparison to the larger harvest that came in the autumn of each year. This has prophetic significance. Strange as it might seem to mainstream Christianity today, God is not trying to save the whole world right now. He has planned a far larger harvest of souls when Jesus returns. Those of us who are saved today are only part of the smaller harvest. When most people in this present evil age are traveling the broad road to destruction, we have been uniquely called to enter in by the narrow gate that leads to eternal life (Matthew 7:13-14) and make our calling and election sure (2 Peter 1:10). The ancient Israelites had an annual cycle of feasts or holidays (also called festivals) that they kept throughout the year as appointed by God. Four of these were in the spring, and three in the autumn. These holidays were a sacred time to remember God’s provisions in the past, His work in the present, and the hope of future provision. By offering God a portion of the first fruit to ripen, it was also seen as a pledge, or an earnest, for the full harvest that was yet to come. It anticipated the harvest that would be reaped in the following months, even though it had not yet been received. At this present moment we have the first fruits of the Spirit. We have repentance, that gem of the first water; faith, that priceless pearl; hope, the heavenly emerald; and love, the glorious ruby. We are already made “new creatures in Christ Jesus,” by the effectual working of God the Holy Ghost. This is called the firstfruit because it comes first. As the wave-sheaf was the first of the harvest, so the spiritual life, and all the graces which adorn that life, are the first operations of the Spirit of God in our souls. The firstfruits were the pledge of the harvest. That was Jesus’ command to the gathered disciples on the day of his ascension. He had given them an assignment – go and be my witnesses to the ends of the earth. But to do this, they would need the baptism with the Spirit (Acts 1:1-11). This baptism with the Spirit would come on the day of Pentecost. Pentecost offers us an excellent opportunity to consider the nature of our ministries and the way in which we are engaging the Spirit of God. Are we focused more on organizational principles learned from the secular world (not that we have nothing to learn) or are we rooting our ministry in the work of the Spirit? 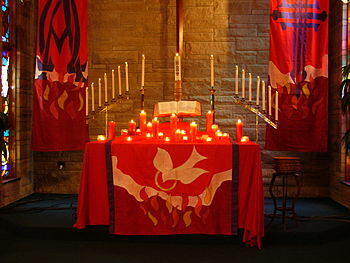 The imagery of Pentecost may be important. Pentecost is a pilgrim-holiday also known as the Feast of Weeks or Shavuot. The point of the festival was “to declare God’s ownership of the land and his grace in bringing forth food. According to a tradition found in the book of Jubilees, Pentecost was the day on which Moses was given the Law (cf. Tob 2:1, 2 Mac 12:32). This tradition is based on the belief that the Israelites arrived at Sinai 50 days after the first Passover (Exod 19:1). Some scholars (Knox, Snaith) have made a connection between this tradition and the gift of the Holy Spirit (ie., Moses gave out the Law to Israel on this day, Jesus gives the Holy Spirit to the church). Fitzmyer thinks Luke was aware of the tradition since there are some indirect allusions to the giving of the Law in Acts 2, not the least of which is the image of fire descending (Exod 19:18).